“I am pleased with how we managed the game against Australia which was always going to be tough,” said national Fiji Airways Flying Fijians coach Gareth Baber. 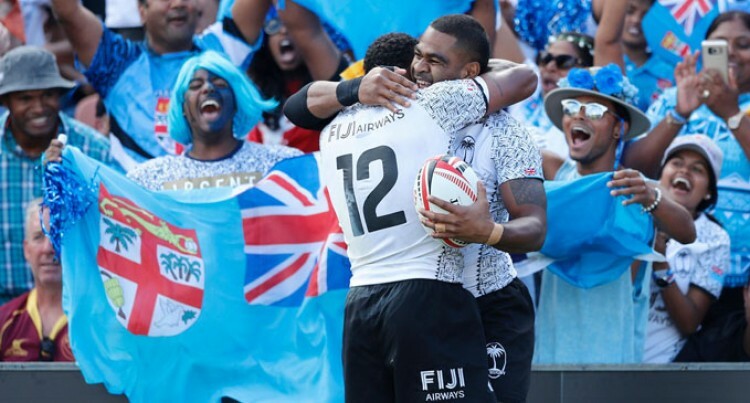 Playing New Zealand in knockout stage of any HSBC World Rugby Sevens tournament finals brings out the best in the Fiji Airways Flying Fijians who defeated the hosts 14-12 in the semifinals in Hamilton. “I think it is something from the old days and I think Fiji and New Zealand are always meeting in the final, we have brought that hype and excitement from then to our time,” Fiji 7s captain Seremaia Tuwai said. Fiji cruised through to the final after defeating New Zealand 14-12, in what was viewed by coach Gareth Baber as an important win. The team recorded tries from hardworking forwards Josua Vakurinabili and Mesulame Kunavula. The win brought about a new sense of self belief in the team and the hundreds of fans from home and those who supported the team from the stands for the past two days. New Zealand controlled the possession and pressured Fiji, but the the solid defence from the Fijians repelled wave after wave of Kiwi attacks. Baber who was obviously pleased after the game congratulated the players for the effort. Fiji had finished day one undefeated against pool opponents Spain, Wales and Australia, then earlier disposing of Samoa and hosts New Zealand in the quarterfinals and semifinals respectively. After the first day Baber was optimistic of the performance of the team as a unit. “I am pleased with how we managed the game against Australia which was always going to be tough,” Baber said. However Baber said the effort shown by the players to win the game signified just how bad the team desired to give back to the fans who had been supporting them.